The World is in debt. Almost all people and organizations are carrying debt to survive, including the Governments of all of our Nations. This is just a fact of life and this is the way that we were raised. You must acquire debt to survive; there is no other way. This is entirely not true. In fact if we chose to save for the things that we really want, we would be able to afford a lot more than we already have. Just think about it for a minute. Without debt, we would only have to pay our “bills”. Rent or Mortgage (Debt, but necessary), Utilities and Insurance. Imagine all of the money that you would have at the end of the month. No credit card payments, no car payment, no personal loans. Now you can afford some of the luxuries that you used to pay for month after month on credit and it won’t cost you three times the cost of the purchase as with credit. Okay, this sounds great in theory, but it is a little late. Boy, if only you had told me this when I was 18 (like I would really have listened). I am in debt up to eyeballs and there is no way out. This is the way that it is supposed to be. This is the only way that it can be. This is the exact reason that everyone stays in debt and why the credit card companies are making fortunes. You can get yourself out of debt and take back control of your life. Of course it will take desire, will power, and perseverance. Most importantly you have to take the first step. The key to getting out of debt is really quite simple; organization. You cannot help yourself get out of any situation without first realizing what exactly you are into. This indeed is the first step. Most people go on day-to-day paying their bills as if it is just a part of life. They get the bill, pay the minimum or a little over and wait for the next one. This is a vicious cycle and it has no end. As long as you keep doing this, is as long as you will stay in debt and stay at the mercy of your creditors. You first need to gather all of your most recent statements. Write down or input (I use Excel for this) all of your creditors. At this point I would even put in your mortgage holder to give you the whole picture. Find out your current balance for each and input that. Now input your minimum payment for each one. At this point I would not even worry about interest rates. You now have the whole picture. Sorry, I didn’t mean to scare you. Now you know what you are up against and you can make a plan. Just remember, try not to take on additional debt. You are now ready to take control of you financial life. Say goodbye to debt, say hello to life! For many credit card holders, credit card debt can put a damper on what would have been a quick fix to financial woes. High credit card interest rates can lead to substantial credit card debt for millions of individuals and families around the world. 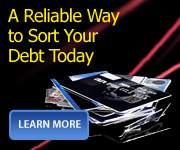 It is far too easy for credit card holders to find themselves falling into credit card debt. High credit card interest rates are not the only factor that leads to a surplus of credit card debt, the high expenses people must cover in order to get by in their everyday lives lead to the general public seeking financial help. Credit cards seem like an easy answer, allowing customers to buy things now and pay for them later. However, if put in the wrong hands, credits cards can lead to even more financial trouble than the customer was already in. There are a number of companies who capitalize on the large amount of credit card debt that can be found throughout the country and the world. These companies claim to have all the financial solutions customers who are in debt are looking for. 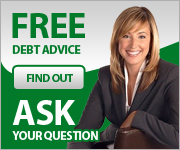 How many times have you seen advertisements for companies claiming to get you out of credit card debt in five easy steps, or claiming to help you eliminate credit card debt in just months? The claims seem promising to people trying desperately to get themselves out of the throngs of bad credit. However, not all these companies can be trusted. It is important for any customers tempted by these get out of debt fast claims to first research these companies. Many companies simply use these empty promises as a way to prey on those who have already established bad credit and seem like easy targets to get quick cash from. But do not worry, you do not have to fall victim. If you are tempted to employ the services of a company offering credit card help, be sure to do your homework. Research the company; try to find former customers to talk to, and make sure that your money will be spent wisely - helping you get out of debt. In far too many cases people who are already in financial trouble find themselves falling in further debt after being scammed by companies who claim to have all the answers to getting out of credit card debt. In fact these companies simply offer useless tips while scamming customers out of even more money. In fact, some debt-help companies do just the opposite - cause further debt for their financially troubled customers. Customers who are well informed and ready to find the right company to help them get out of debt will be able to spot frauds right away and employ the services of a company that will offer valid assistance rather than a hoax.